Firstly, a huge apology on the delay of our blog posts, it’s been a manic time for us with a mixture of different things in the pipeline that are coming to fruition, so I’ve been swept up in the whirlwind of it all and thus focusing on the paper trail that the whirlwind has scattered everywhere. But now, WE’RE BACK! So here is the BIG update! Ladies and Gentlemen, Boys and Girls, People, Players and Peasants alike: WE GOT OUR ARTS COUNCIL FUNDING!!! 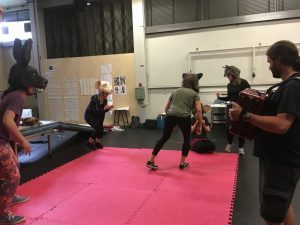 We applied for funding to proceed with Phase 2 of Reynard the Fox; developing the show into an indoor version that is fit for rural touring venues. Alongside running New Landscapes in March, we returned to the rehearsal space ourselves to refresh Reynard and extend the length of the performance, playing with the script and characters and set. 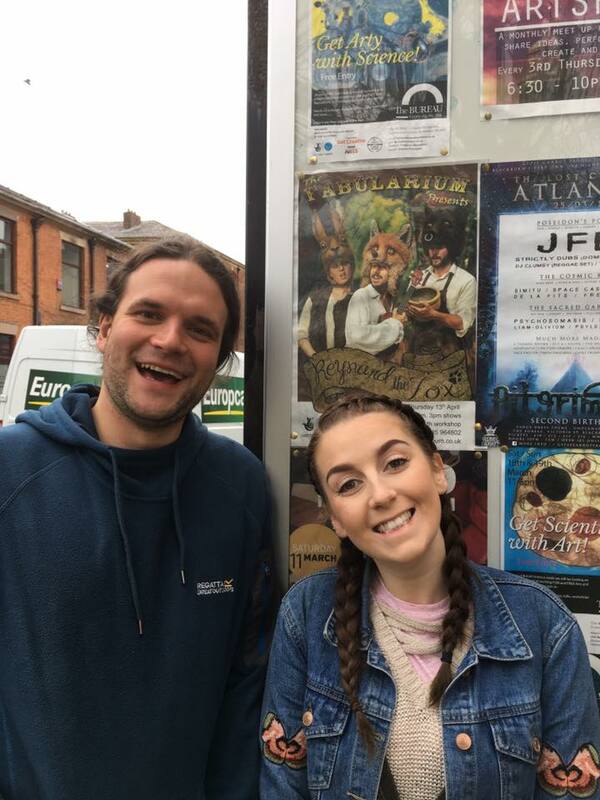 This also saw the return of our outside eye, the wonderful Niki McCretton from Stuff and Nonsense Theatre, who spent a few days with us to help explore the intentions of our characters and tighten all the nuts and bolts. The end result was a strong indoor pace, a new song, a brand new intro playing with the cart in it’s packed state, and even a new character! 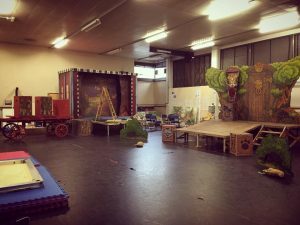 If you want to know what these changes are you’ll have to come and see one of our indoor performances of Reynard the Fox! 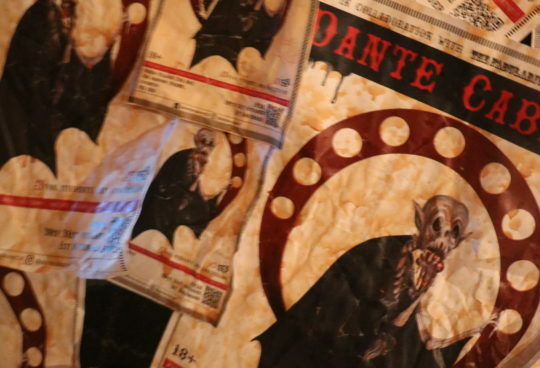 We’ll post up more information on where to see these shows when we receive them. 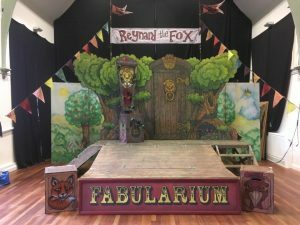 A huge thank you to Arts Council England for supporting the development of Reynard the Fox into the indoor space. 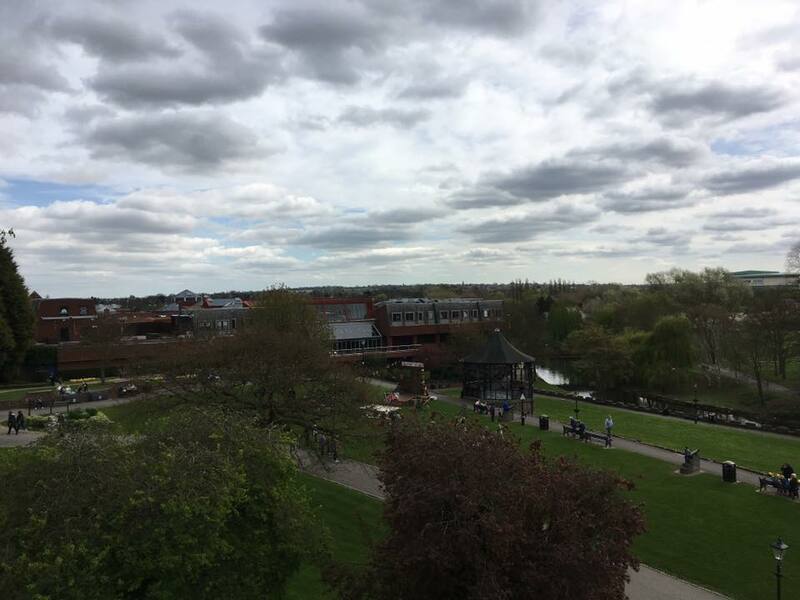 Easter break saw the beginning of the Reynard the Fox Spring/Summer 2017 Tour, opening with outdoor performances in Tamworth Castle (Tamworth Arts & Events + Live and Local Warwickshire), on a beautiful sunny day! 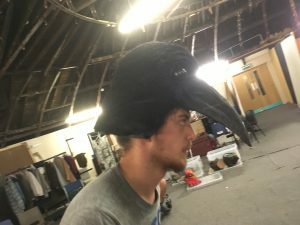 Following this we had our first 2 indoor performances of Reynard, the first in The Rainhall Centre in Barnoldswick and the second in The Bureau in Blackburn (both Spot On Lancashire). 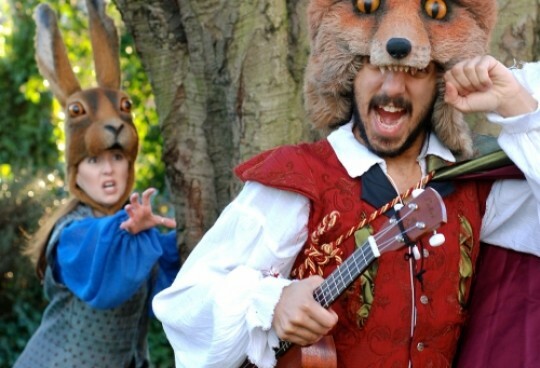 Our next performance of Reynard will be in Coventry at Earlsdon Primary School as part of their outdoor theatrical fun day. If you’re around the area then why not come join the fun? You can catch the show at 2:30pm and 4:30pm, it’s free so bring family, friends and a picnic blanket! 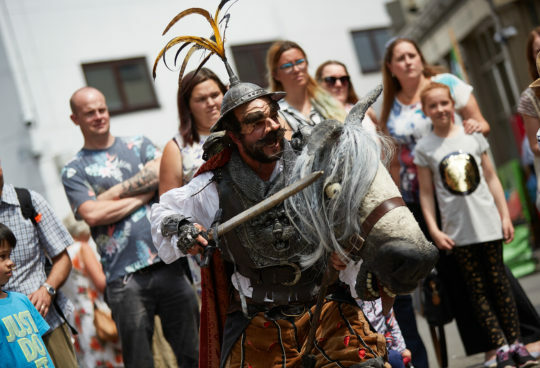 Following this, Reynard will be touring all over this year to various exciting places, such as the Birmingham Hippodrome, Grassington Festival, Artsfest in Wolverhampton, Appetite Stoke, Manchester and many more. 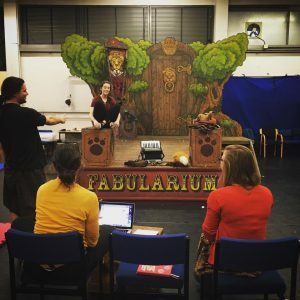 For more info on our tour dates, for both Reynard and other performances, check out our tour dates page. 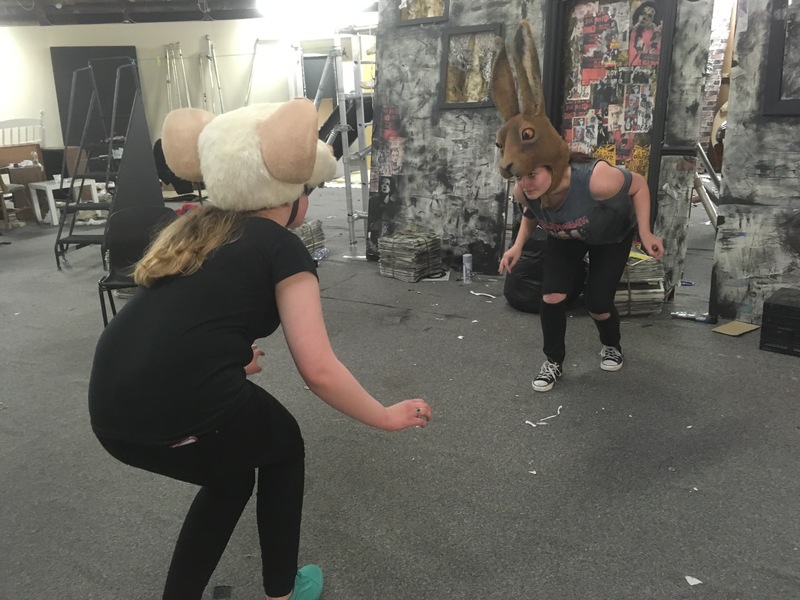 We’re back after the Easter Break with the Coventry University second year theatre students to continue work on The Cautionary Tales for Children Considering Ill Behaviour. Things are really taking shape and the students are now altogether in one room to rehearse songs and acrobatics. Their individual expressive characters are currently in development in their own time, whilst spending contact time pushing on with their Group shows. It’s all coming together nicely, with some wonderful singing yesterday (learning Sumer Is Icumen In) and finally had the band and drummers together to work on the music throughout the show and processional drumming. For the first time all Fabularium stages setup in one space, two for The Cautionary Tales, and then the Reynard stage. 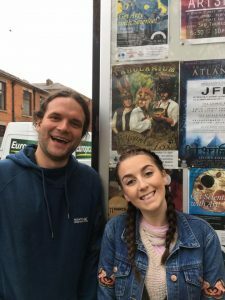 You can catch The Cautionary Tales on the 30th and 31st May and 1st June in Coventry (exact locations and times TBC, and these shows are completely FREE!). 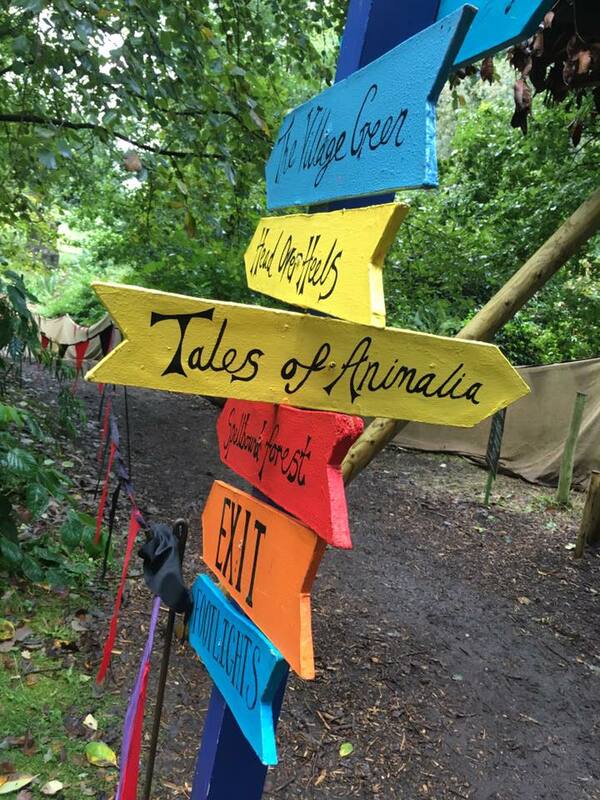 We are very excited to announce our return to the Tales of Animalia at Just So Festival this year. We held auditions for Coventry University theatre students these past two days and are preparing to begin rehearsals in June. 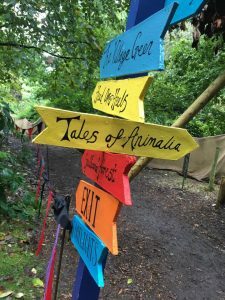 You can expect to see familiar Animal faces, Magical Moving Trees and The Cyclops and his Naughty Flock of Sheep, with tales old and new for your entertainment! Check out the Just So Festival website for more information about what’s on, how to get there, and to purchase tickets. Cheers all, have a good week!